This is a fun Free Antique Playing Cards Image! 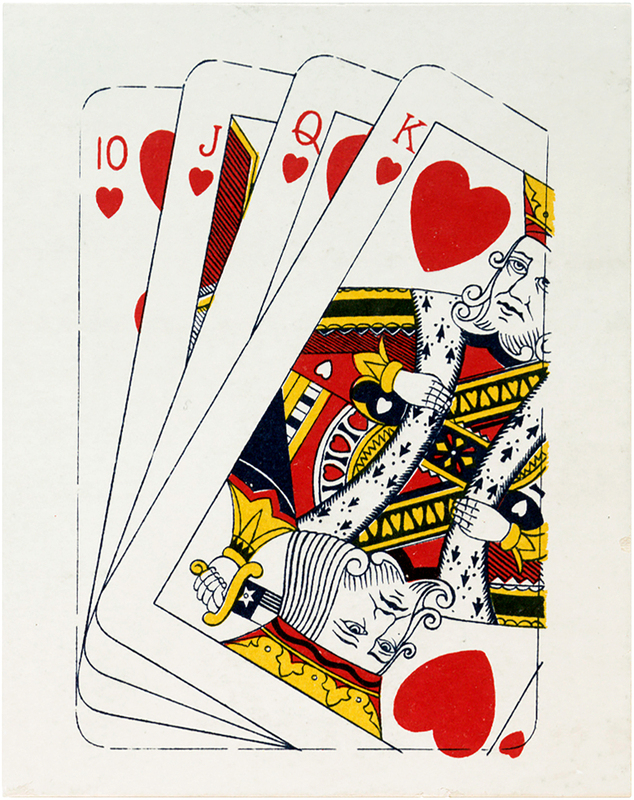 This illustration shows Four Playing Cards, including the 10, Jack, Queen and King of Hearts. Nice for your hand made, or Digital, Collage or Mixed Media Art Projects! Vintage Joker Hand Holding Playing Cards Engraving! Vintage Ace of Hearts Image! 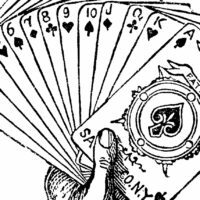 Free Vintage Card Deck Clip Art!